If you have an older clunky TV or computer monitor, it contains a cathode ray tube (CRT). CRT’s are one of the hardest devices to recycle because they contain a relatively high concentration of lead and phosphors. 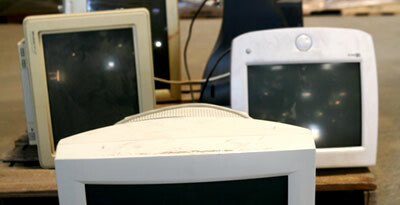 Most companies charge a small fee to recycle a TV or computer monitor because the leaded glass needs to be carefully removed. The locations listed below recycle TVs and monitors for a small fee. If you do not choose to recycle them, they are allowed in the trash.